I've been running the HG54 for years on my MTB. I recently had the chance to upgrade my fat bike, and at the price, and based off past performance, I opted for another Shimano chain. In the last few rides this chain has performed just exactly as I have come to expect from mid-level Shimano components. Great product at a reasonable price. Works faultlessly with my 7800 duraace groupset. Great buy. Bought this to convert the bike from 3X8 to 2X10. So far, I've replaced the rear end (10 speed cassette + rear mech) but left the front end intact (3 chainrings). This chain seems to work just fine in such a setup. Works perfectly and a doddle to fit. Silent operation, does the job very well. Highly recommend as its such a cheap price. Couldn't be happier :) made my budget 1x10 speed conversion much cheaper. Does the job, no real world difference to the XT chains I have used in the past. Cheap as chips. Not noticed any difference in performance between this and more expensive chains and I can live with the increase in weight. Just removed all the rubbish from my Camelbak to compensate. Great value, lightweight, doesn't come with quicklinks though hence the dropped star. Great chains & well priced. But don't forget to also buy the connector pin which isn't included. Will buy from again Fast Delivery. Seems the same performance as the XT so worth replacing regularly to preserve the more expensive cassette and chainrings. Service I cannot fault. Ordered the previous afternoon and it arrived next morning. Fantastic. 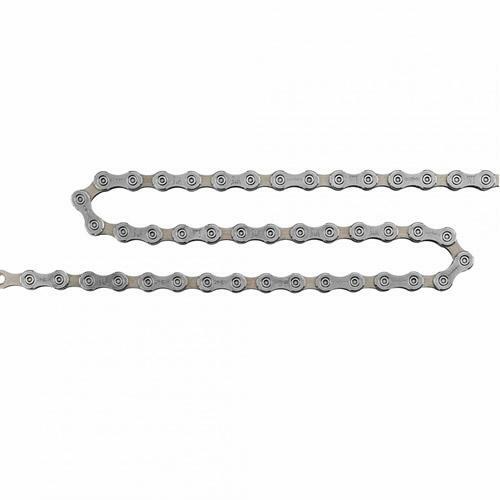 Excellent price for this chain. The best on the web.